Hey, Folks! 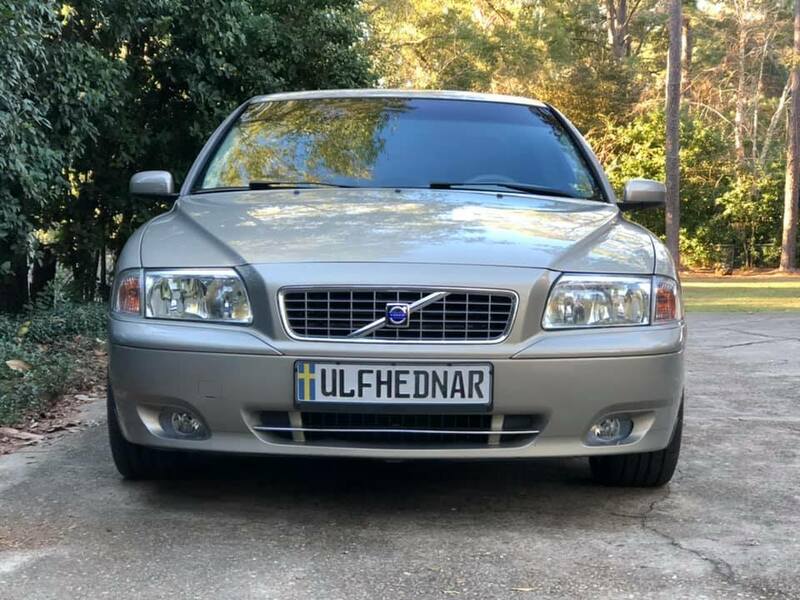 I purchased this Volvo back in October, after the hurricane sent a tree into my garage and totaled out my W210 (original owner, so sad). 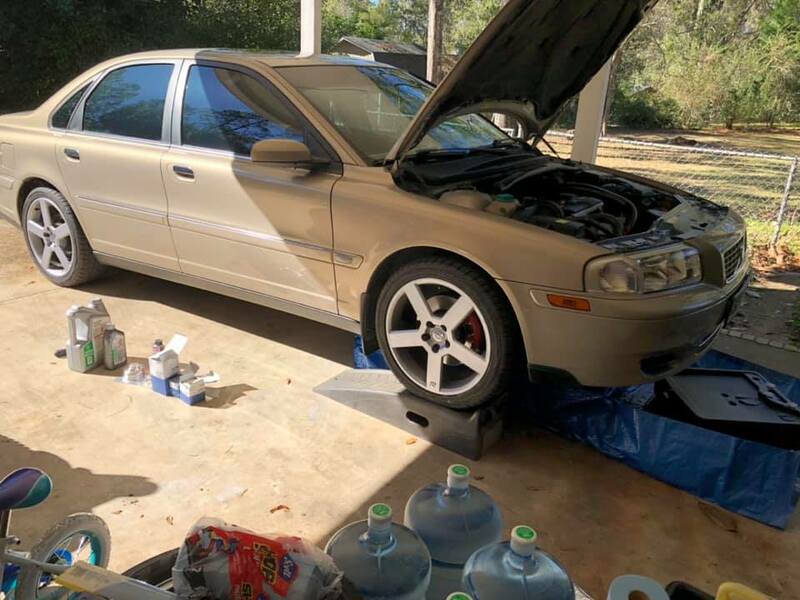 I used some of the insurance funds to purchase a 2004 Volvo S80 2.5T. It was a one-owner car from a few miles up the road, complete service history and records from the local dealership, and appeared to be garage kept its whole life. Mileage was a little over 100k. Items that needed attention at purchase; fuel door spring, SRS reset, glovebox strut, center console release switch, cup holder apparatus, all filters (cabin, fuel, intake). First thing I did was order the parts needed to fix all of those issues. The repairs were quick and painless - that cup holder was quite expensive! Added in some fresh fluids, too. I then had the windows tinted - the only thing I've hired out for. Next thing done was a 7" touchscreen (center mount with new bezel) with backup camera that was installed in place of the stock head unit. Bluetooth and phone integration is great! At the same time, I installed canbus compatible LED lights into every interior and trunk area that was using incandescent bulbs. I also did the headlights and got them properly aimed - huge upgrade from a visibility standpoint when night driving. I also installed OEM fog lights into the factory housing, but haven't been into VIDA yet to activate them via software. In preparation for the install of this, I've done full replacement of ignition coils and spark plugs. 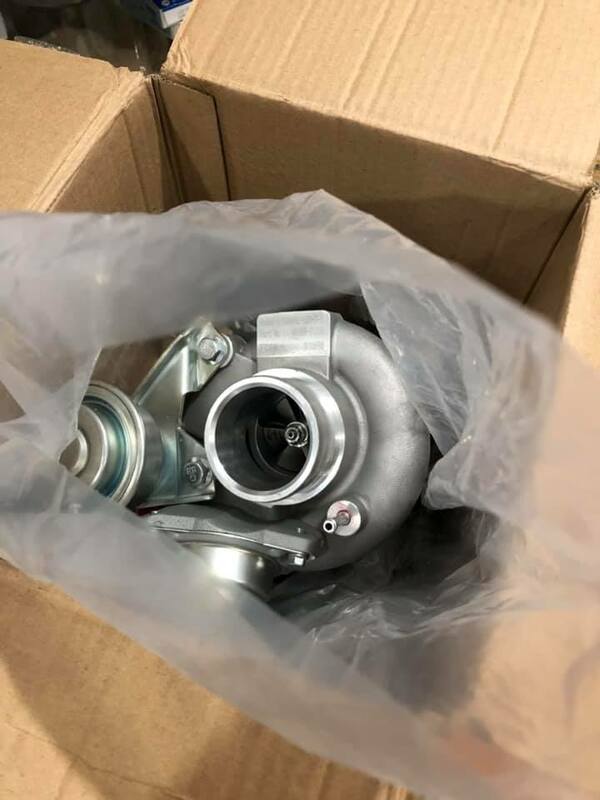 I've also ordered a 3" downpipe, Snabb intake, upgraded diaphragm for the CBV and a heavier spring to hold the boost. I'm considering doing the do88 intercooler at the same time, but will probably install that later. 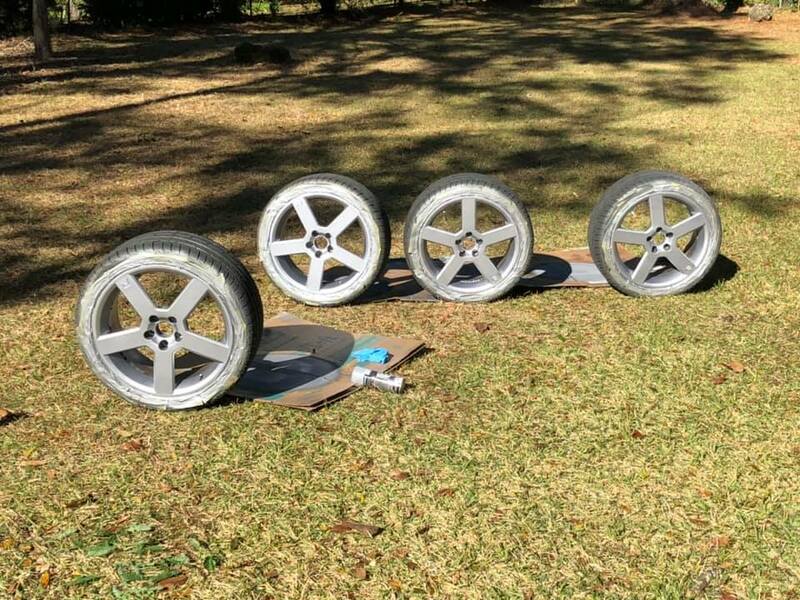 I snagged some Pegasus wheels off of a salvaged S60R (18") for $300!!! 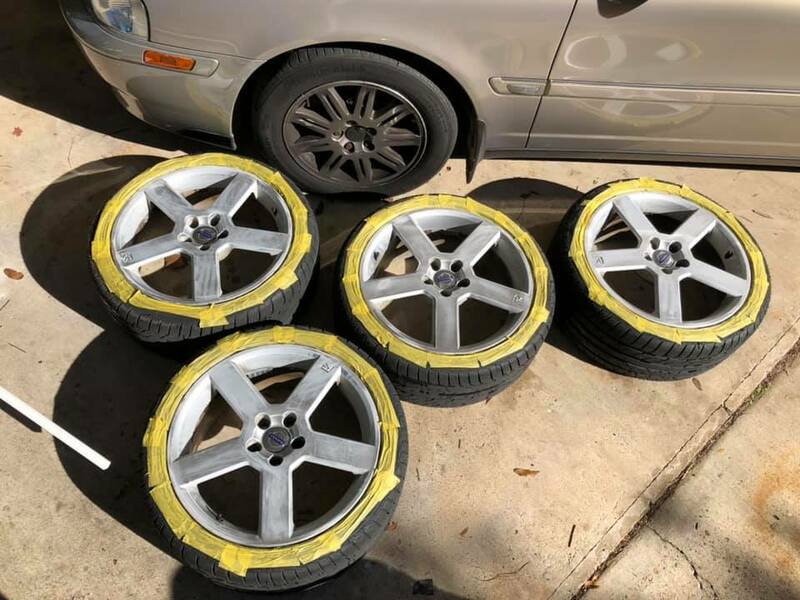 They were beat to hell, though, with curb rash on every single wheel. I hit them with heavy grit sand paper to smooth things out, did some light fill/blend work and then my daughter and I scuffed all of them up real nicely to prepare for primer and refinish. I used 4 coats of black, heavy-fill primer. Light scuff. Then, 3 light coats of Hyper Silver with 1 wet coat of Hyper Silver. In highsight, I wish I had done a 2nd wet coat. Once that dried, I hit it with 3 light coats of clear and 1 wet coat of clear. I'll probably add another layer of clear in the near future when temps warm back up. But, very pleased with the work that I put into it - the $300.00 set now looks like a proper new set. Sick post, thanks for sharing. I have a 06' S80 that is near identical in body styling to this one, but in dark blue. Been doing a lot of preventative maintenance on mine (Trans oil, PCV, spark plugs, timing belt, various oil seals, TCV) but haven't touched the performance side yet. Where did you get the touchscreen head-unit from? Is an OEM or aftermarket unit? Not totally related but I've been considering upgrading the sound system from the HU-650 to HU-850, which was an option in some S80's and looking to see what others have done. 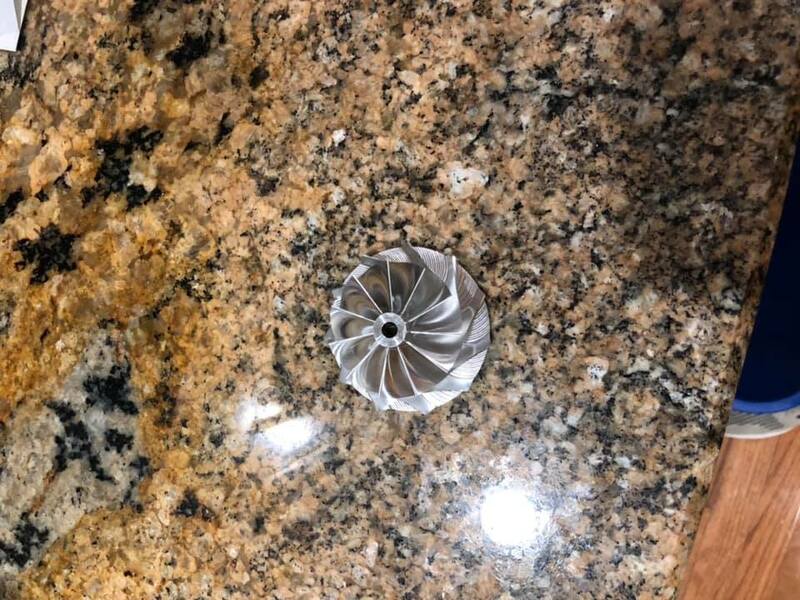 I know absolutely nothing about turbo sizing so some more explanation regarding your thought process when you bought the new housing and core would be much appreciated. Awesome work on the wheels, that is a big job. Looks phenomenal on the car... and you have those red calipers for +5 HP. The head unit came from eBay, though similar ones can be found on Amazon for a few bucks more. The brand is Power Acoustik - sounds great and works well. Honestly, you could put *any* double din in this car and as long as you can solder up your wiring kit, you'll be in great shape. My thought with the turbo was 16T or 18T. I want to keep power levels safe for the transmission and the stock block. If I really want to be careful, I could throw a thicker head gasket on to decrease the compression ratio, but I really don't want to deal with that. 16T seems to be the *safest* bet on a 2.5T. I've got an "R" manifold to mate the turbo to. Along with the other items, it should really wake up the top end. Check the BSR stage 3 for the T5 for an indication on what a safe level for the transmission is. Unless you've already done your research. Just the stage 1 really woke my 2.5T up. I'm quite happy as is and would probably look at something with rwd if I wanted to add more power, it's got enough torque steer as it is. Thank you for the reply, I'll have to do some research on head unit options until I find one I like. I'm one of those weirdos who actually likes the stock ECU map, but if I eventually get a different turbo I'll tackle the tuning side of things and be back here asking questions. So much to do! This thread has given me all sorts of ideas, thanks again!